PEN literary service award recipient Stephen King attends the 2018 PEN Literary Gala at the American Museum of Natural History in New York, May 22, 2018. The last day has been a big one for Bangor’s most famous resident. There’s a new TV series coming out based on one of his books, and he revealed the title and release date of his latest new literary work. 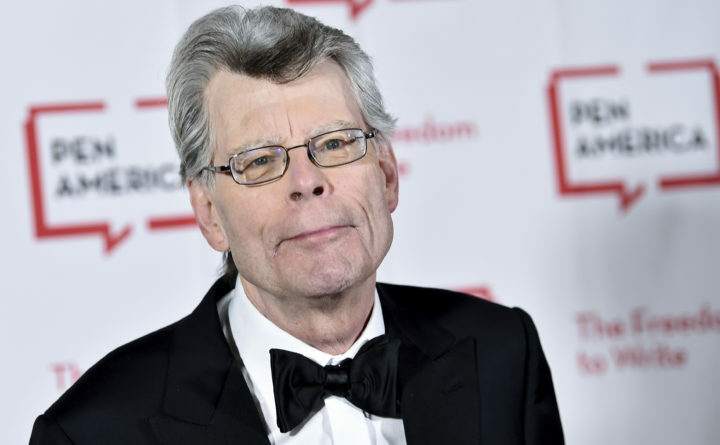 Then, on Thursday morning, King posted on his website the title and release date for his newest novel, “The Institute,” described as a combination of “It” and “Firestarter,” about kids with paranormal powers, imprisoned in a facility that seeks to utilize their gifts to nefarious ends. The book is due out in September. “The Stand,” expected out sometime in 2020, will be developed by Josh Boone (director of “The Fault In Our Stars” and the upcoming “The New Mutants”) and Ben Cavell, who have been developing the project for a number of years. Boone told Entertainment Weekly that he “read ‘The Stand’ under my bed when I was 12, and my Baptist parents burned it in our fireplace upon discovery. Meanwhile, King himself revealed that “The Institute” will come out on Sept. 10, 2019 — just four days after “IT: Chapter Two” premieres in theaters — and is set at 576 pages. The synopsis posted on his site describes a story about a young boy with telekinetic and telepathic powers, who is kidnapped after his parents are murdered. He’s taken to the mysterious Institute, where the director and her staff ruthlessly experiment on kids with special powers.